Congratulations to Dr. Tania Strout on earning the AWAEM “Hidden Gem” Award. This award is given to four female faculty members with outstanding contributions through clinical work, teaching, mentorship, role modeling, or administration, having great impact locally or regionally. This award is designed to recognize those whose significant but quiet contributions may escape recognition. Dr. Tania Strout is the Director of Research at Maine Medical Center Department of Emergency Medicine and Associate Professor, Emergency Medicine at Tufts University School of Medicine. 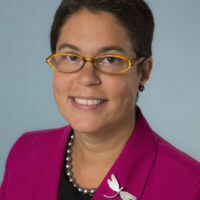 She is also an Associate Professor in the School of Nursing at University of Southern Maine, and in the Muskie School of Public Service at the University of Southern Maine. She completed her Bachelors of Science in Nursing, and Masters of Science in Health Policy & Management at the University of Southern Maine. She then completed her Doctor of Philosophy in Nursing and Research Fellowship at Boston College.